In today’s conversation, Max talks about his new book, what inspired him to get involved with it, and what teachings in the book are most useful for sales professionals. Listen in to hear Max’s ideas on how sales and marketing to work together, how to use sales engagement strategies in closing, and what Max sees changing in the near future. Marylou: Hi, everybody! It’s Marylou Tyler. I have a repeat guest back. I just can’t get enough of Max. Max Altschuler is the CEO and founder of Sales Hacker Inc. He’s also the vice president of marketing at outreach.io which is a fabulous tool for those of you who are considering leveraging technology and automation in your conversations either at the top and now they go all the way to close with their tool. Today, I’d like to talk with Max about a new book that he has just come out with, co-authored with Manny and Mark—he’ll talk to you more about that—it’s called, Sales Engagement: How The World’s Fastest Growing Companies are Modernizing Sales Through Humanization at Scale. That’s a lot. Marylou: Tell us, Max, what got you guys involved with this book. What made you decide now is the time to talk about it? Let’s talk about some of the learnings inside that you feel are most impactful for our audience, which are the audience they’re trying to start conversations with people we don’t know, follow up a conversation with people who reach out to us, and then also now taking it all the way down to close. Max: Thanks for having me on the show. It’s great to be back and be back chatting with you, of course. The book was fun to write. This is the stuff we live, breathe, and sweat here at Outreach. I got a lot of our employees involved that are deeply ingrained to the product out of a lot of our really happy customers, and savvy power users involved, in kind of talking about how they use modern sales engagement strategies. There are some amazing strategies throughout and helps you create that sales engagement strategy, but it’s super tactical, and actionable, and practical, and allows you to do things immediately based off in the books. For example, understanding how do you use multiple different channels and being where your buyer is when your buyer is there. Understanding how to run experiments and AB tests, so that you know the best way to reach out every time instead of just going off intuition. I see all these silver bullet nuggets out there on LinkedIn and everywhere else. It’s like, “Hey, if you use ‘Best’ to sign off your email instead of ‘Sincerely’, you have a 12.5% higher response rate.” That’s the silliest thing I’ve ever heard, and also, it doesn’t teach people how to run their own experiments. It’s giving you an inedible fish instead of teaching you how to fish for things you can actually eat. We wrote the book to do just that. We want to teach people how to fish and how to run an effective sales engagement strategy. As the leader in sales engagement and as the category kind of rolls down the hill, and builds on itself. We’ve got quite close to 50,000 users who are jumping on the platform every week. There are a lot of people who need this information and it’s only going to grow from there. We’re going to make sure we were able to be the ones to provide it. Marylou: Help us understand your definition of sales engagement. It’s used in a variety of ways and a variety of flavors of it. How are you describing sales engagement? Max: Sales engagement is really anything you do to engage with your customer or prospect. It doesn’t matter if you’re prospecting, and you are cold emailing, cold calling, sending out one-on-one personalized videos, whatever channel you’re using. It doesn’t matter if it’s cold and at the top of the funnel, or if it’s nurturing a deal along, and getting the right stakeholders involved, and having a process and a strategy to track, measure, and analyze that, or it’s CSMs who are going after the renewal and wanting to be on top of their game, and making sure that they’re following up appropriately with the customers who are renewing at a certain point. It really can be used in any stage at sales process—inbound or outbound. I think now more than ever before, sales and marketing are integrated, and sales and success are integrated. You need a strategy and a process that’s really going to tie all that together. I think sales engagement is that process. At Outreach, we are trying to build the single painted glass; any action, all the insights, all in one platform. You can do all of your channels, all of your activities, and get the insights from the results in those activities or channels all in your one platform, so you can then use that to inform your next best action. I think that’s when it gets really interesting. Marylou: Based on your background, you cover both sides of the fence. A lot of times, we don’t have insights into marketing from sales, and sometimes when we’re sitting on the marketing side, we’re not really sure what sales needs. You have a unique talent in that you could blend and crossover pretty easily. When you say that sales engagement does help those two align, how do we start the conversation with marketing? If we’re in sales and we really want to set up what you’re calling an Omni channel or multi channel approach. We’re talking about email, phones, social, even direct mail in some cases, video, and a lot of these different channels. How do we get started on picking which channels we want to go to, to get this gravity in conversation. Because we can leverage a tool now, do we start with multiple buckets of things of channels, or do you recommend that sometimes we look at, “What are the three top ones?” How would you advise us on that? Max: A lot of different talking points in that one. We can start with choosing your channels or understanding your channels, and really start to understand your buying persona. We did a sales engagement survey with The Bridge Group and the Modern Sales Pros. We polled about 884 sales and marketing professionals, sales and marketing leaders, about how they like to buy. Inside of sales and marketing, there are a lot of different sub roles. Let’s say there’s ops, there’s executives, etc. What we were able to find is that logically, if you’re selling to a salesperson or like a CEO, or a C-level—let’s say CRO or CMO—all of these people are out at their phones, they’re out of pocket more than they’re in computers. Using channels to be where they are is going to give you a higher chance of success. For example, if you’re selling to a salesperson, you probably want to call them, or leave them a voicemail, or text them, over sending them an email because they’re living out of their phone. With an ops person, maybe they’re sitting in front of two screens all day. Calling them or leaving them a voicemail isn’t as interesting because they’re not at their phones. You might want to LinkedIn message them, or send them a one-to-one personalized video because they’re going to be living in their screens. It’s really just about understanding your persona and where they spend their time. Then finding ways to set up sequences so that you are capitalizing on where they live, but also surrounding the account, and that’s where marketing comes into play. As you go up market and you surround these accounts, and you do your account-based revenue, account-based sales and marketing close, you use your sales engagement platform to either prospect, nurture, or manage a newer process, however you’re using it, and then marketing can support how they typically support. You live out on all those different channels and marketing is able to set up retargeting campaigns, and intent data campaigns that allow them to target the same contacts in the same accounts at the same time. It all needs to be led by sales. Sales needs to do the account selection and lead from the front of the pack, and then integrate with marketing around your sales engagement strategy to understand where they can support with marketing this ABM campaign, and sales is sales engagement campaign. Marylou: Okay. In the sales engagement arena, sales is going to take the lead on how these campaigns are set up and because the persona development is probably done on both sides, since on the sales side, we’re really focused on, “What conversation snippets can I utilize in my dialogue with prospects to advance them further into the pipeline?” Whereas marketing is really thinking, “Okay, how can I get people to raise a hand to actually want to start a conversation?” We’re taking that conversation trying to further it into the pipeline as well. It makes sense that we would need that type of alignment. How about the content assets itself? How is sales engagement utilizing content assets, or do we not? I know with Outreach, their email engine for example is a fairly simple engine which it should be, not a lot of HTML for example. It’s not really a graphical really pretty type of email message, because we don’t want that. How does that align with the way marketing likes to do things which is usually, they’re very visual in nature, and having the piece look really nice, but we’re just trying to get the conversation going. How does that work? Max: There are a couple different types of content that you talk about when you talk about sales engagement. At Outreach, for example, we have a full time sequence writer. A full time content person who solely focuses on running experiments with all the content. That’s like the sales engagement side of it, that’s what they focus on. They work with marketing and sales enablement to figure out what are the key things that we need to have prepared, or what are the campaigns that we’re running for this persona, etc. This person kind of sits between sales and marketing then goes off marketing these campaigns, what they know about the personas, and sets the content up from the SDRs and sales reps. While marketing takes a similar campaign, and approaches that through targeting them with advertisements, or direct mail, or whatever else they can do, events, etc., on the marketing side of things. In terms of injecting content assets into the message, that’s something that every company has to experiment with. That’s one of the things that we talk about when we talk about experiments. “Should I embed this content? Should I link to a piece of gated content? Should I link to a piece of free content? How can I utilize content in my Outreach? What’s the best way to do it?” There’s no silver bullet. I can’t sit here and say, “You should always link in your second sentence to a piece of gated content where you can then get their email address and understand their level of intent.” It doesn’t work like that for everybody. That’s where you can use a sales engagement platform to start crafting that. It’s like, “Alright, I’m going to include the link at the end of my email explicitly.” It’s not going to be hidden at all, and it’s going to go to an un-gated page, and it’s a value driver. It’s a credibility builder. The asset that you link to can be something that can A, provide value for the person on the other end. B, provide credibility maybe it’s an analyst report or something like that. C, it can be something else. There’s a million different things really you could probably link to from a concept perspective. I think [inaudible 00:13:11] first to the most common, but it’s really up to you in your sales process and your persona, and you experimenting with what works. Marylou: Right. The beauty of a tool, like an Outreach tool is that you don’t need to worry folks about, “Okay, what did I send? When, and how, and to whom?” It keeps track of all of that for you. All your activity, everything that you’ve done, and it automatically computes metrics for you, so you’re going to get a statistically-relevant sampling when you do a test that X number of people open, X number of people are going to click through or not, and then X number of people reply, and in the case of an email which gives you just a plethora of ways to go from there with that particular piece of conversation. That is, by far, to me, the beauty of these types of tools is that we could sit here in a manual environment, just think of an excel worksheet, and move people from column to column as we do testing. But just think if you have hundreds and thousands of records, or if you do in a sequence which a sequence is a grouping of conversation snippets one through and usually 10-12, somewhere like that. Just think of these members that are starting with email number one, then go to a voicemail; number two, then do a LinkedIn. You can’t possibly, as a human, keep track of that. It’s just impossible for you to do that. These tools are fabulous and that peace of mind that once you finish a sequence, you can look at it overall, you can watch things as they go—it’s a beautiful thing. I love to be able to see, as we go, how things are performing and, “Should we change a conversation at this position in that sequence because it’s resonating? Let’s move that guy up.” We would never know that otherwise, but with a tool like yours, you can tell right away. I peeked at the software. I am seeing things now where we’re starting to march down to getting to close. If somebody is sitting in the audience thinking, “Okay, this is great. In my prospecting time, I could certainly use something like this sales engagement.” Does that also crossover from opportunity to close? Are these principles also applicable to an account executive who’s taking the opportunity and getting in to close one? Max: Yes, definitely. If you’re not a full cycle, you’re only a closer, you can definitely take advantage of the sales engagement strategies. Because deal cycles, unless it’s super transactional stuff, and even then, you still want to have the ability to track, and analyze, and as a manager, make sure everybody’s running the best practice or the best plays. But in the longer deal cycles, if your deal is not done, that you get the hand off, you’re on the demo, you still need to triangulate, usually a lot of people within a deal. You need a platform that’s going to be able to track all of that activity and allow you to one, streamline a lot of it so that it’s less of this tedious menial tasks, and two, track the best practices and insert the best practice of your team across the way. Your sales engagement platform should integrate with a lot of your other technology. It should make your life a lot easier. It should be the one single painted glass that you live in day-in and day-out, that surfaces all the information from your research sites, from your CRM, from wherever you’re taking your notes, whatever else, can all live within that one place, to be able to surface all of your sales enablement content. Whatever your file cabinet is that you use, Highspot, Showpad, Seismic, you name it, it should be able to pull in from there. It should allow you to streamline your entire engagement and connecting process. All of these different things that you can look at and say, “The data of the activities are showing me this.” It doesn’t really matter what this person says, “Here’s how I manage my team based off of what activities are they doing. What are the things that they’re mentioning. Are they mentioning them at the right time?” And they go in by the battle cards. Are they saying the right things at the right times? Marylou: The other thing that I think is interesting is that with the way this is going, I am always trying to figure out where is the single source of truth here? Is it in the engagement system, or is it in the CRM, or is the CRM is kind of becoming obsolete for us because of the fact that we are trying to track the conversations as opposed to tracking mundane activities and manually tracking them. Whereas the sales engagement software can track activities on our behalf because once we hang up the phone, or close out an email, or get a reply, all of that is automatically tracked for us, and triggered for us, and essentially, scored for us in a sales enablement system. That just doesn’t exist in CRM. Max: CRM is definitely more of data warehouse, and a valuable one at that. A lot of successful organizations use Outreach in tandem with their CRM. I think your activities and engagement need to be tracked in that system of engagement and not in the CRM where your data is kept. Your data should be kept in a CRM and should be kept clean, but everything else should be tracked in a sales engagement platform. Marylou: It really is transitioning more. I know with a lot of my most recent clients, we’re getting the AEs to hop on eventually to the engagement platform because of the fact that we have these great insights—the top of the funnel—with the business development folks, and the inbound people now can actually use the system, and even our researchers because we harvest our lists for a lot of my clients. We can’t rely necessarily on purchased lists. We have the research team that utilizes the engagement platform. Why? Because then we can single source the records coming in to understand researchers, where they’re getting their records, where they source them, the close rates on those. It allows us to now take multiple avenues of list building, multiple avenues of attraction base, from the inbound side. Then of course, the original design of these systems for us was to target those accounts that we wanted to go after from the predictable revenue days. We have that all blended now inside of this one little tool. Before, it used to then hand-off and go to the CRM abyss where we can’t really tell what was happening to it. It makes sense that we’re starting to move activity for conversation into the systems and then use the CRM perhaps as a reporting engine—even that, I think is going to change. Right now, it is like you said, a glorified data warehouse for us. That’s all we use it for really in most of these cases because of the fact that these systems can track our activity on our behalf and we’re not bogged down on data entry at all. Max: Yes. We still do a lot of reporting, and forecasting, and tracking stages, and stuff like that in Salesforce. That definitely comes in handy for us with our [inaudible 00:22:05] Salesforce customers. Salesforce is a strong integration for us, but now that the dynamic is coming out in the next 2-3 months, we will eventually be, I think, CRM agnostic at some point. You need to be tracking things in a sales engagement platform. You need to have your team live in there so you can optimize your sales process. I think that’s the way your team is going to get better in 2019 and beyond, not sitting in your CRM. Marylou: You’re the VP of marketing for the brand Outreach and you’re running Sales Hacker at the same time, a busy guy. What should we see in the future like in 2020? What should we be looking for? Is GDPR going to hit us here in your opinion? Are we going to have issues with sending out emails? 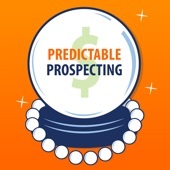 If you can give us the Max crystal ball of sales engagement, what would that look like? Max: I mean the Arbor and GDPR is already coming, CCPA, there’s definitely going to be more of a crackdown on email. I think that’s good for us. Our mantra is not about, “Just go send cold emails.” It’s, “We send them the right way.” I think that’s what GDPR is all about. It’s not enforcing the fact that you can’t send a cold email to anybody; it’s making sure you do it in an appropriate manner. I think it’s just going to make everybody better at what they do versus the other way around. I don’t think it’s going to really stick or stuck anything. We’re excited to see what comes from it and we’ll be ready for it. I think, for us outside the GDPR, it’s really just about helping reps understand their next best action. Marylou: Yeah, it’s a nightmare. Max:…there’s a bunch of different actions. We want to tie everything together. What we really want to be able to do is, like I said in the beginning of the podcast, if you can keep all the activities in one platform, then you can get all the insights in one platform. If you can get all the insights in one platform, those insights can actually be used to inform your next best action. If you send a one-to-one personalized video to somebody, and they open the video, and are watching the video, and you can get a notification in the same application that you sent the video in that the video is being watched right now, trigger the phone call, then you call them—think about how amazing that is if they’re watching the video and you call them, and it all got triggered from your application. As a leader, you don’t have to have your reps logging in and out of different apps and potentially getting the notification 15 minutes later. If they get the notification 15 minutes later, that person’s onto the next thing in their day, so when they do call them, they’re not going to pick up or have the time versus like while they’re watching the video, it’s still right fresh in their head, and it’s the perfect time to call. They have the time. The activity is creating insights. The insights are feeding the next best activity. If you can do that every time, then you could essentially clone your best reps. I think that’s what we’re getting to is the point where your team is experimenting and knows how to experiment. They can track and analyze all the activity and the insights all in one platform. And then because of that, leaders and team managers can basically say, “Okay. Well, here’s the best practice because we know it’s the best practice. Now, you go and do it.” That’s when it gets really interesting. Marylou: It does. I mean, letting the data drive. The data driving the next action is just for someone like me who is a data nut, that takes the ego like you said, the guesswork, the gut. I mean, yes, some of these [inaudible 00:26:51] reps have all that and are fabulous because of that. But what we’re trying to do is get those other 80%, who are not the best reps, to perform the way that the best ones are. Max, thank you so much for your time. I will put all your contact information for anybody who wants to know how to reach him. He’s very well-known out there in our world. Again, outreach.io, he’s VP of marketing there. I’m sure [inaudible 00:27:18] a lot speaking. You can touch base with him there or over at Sales Hacker. Thanks again, Max.